Forget Dylan, Cohen, Waits all of them. 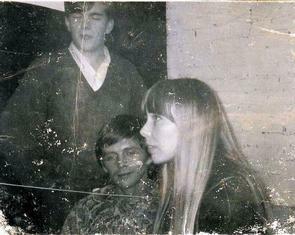 Joni for me is possibly the greatest songwriter and guitarist of them all........though I have to say Prince runs her close. There are a few of these on Second fret set. Joni, I am webmaster for Kevin Gilbert.com. He sadly passed on when he was 29 (1996) but left a wealth of music which you can hear on his site. His legacy lives on because his friends and the Estate banded together to make his unreleased music his legacy. Please - I beg of you, release your music so that we can love them and enjoy them while you are still here. It means so much to those who love you and your talent. Please. please allow us to hear these now before you pass away and never know how much we love them and you!!!! I would be honored to have these songs released for your fans to enjoy them. Just reading the lyrics is not enough...I'm sure there are reasons they were not included on your albums, but we would all love to experience them, if you would allow us to. What an incredible list of unreleased songs!!! Wow - talk about buried treasure - these diamonds need to shine! Please release them!!! 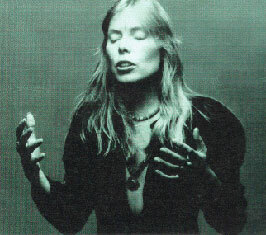 I'm very pleased to be, maybe, the first one to have a comment about this collection of unreleased songs and i make a suggestion (sorry about my english but i'm portuguese): Why doesn't Joni Mitchell finally edit these songs in their original way and also new versions as, for instance, the ones that we listen to on "Travelogue", which are beautiful?